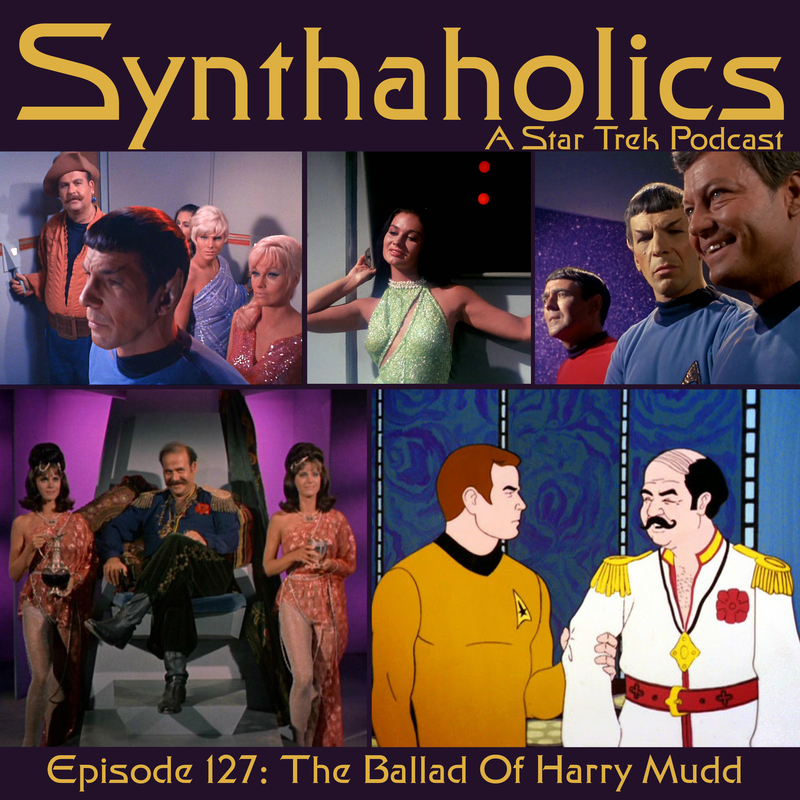 This week we discuss the Ballad of Harry Mudd. Harcourt Fenton Mudd appeared three times in Star Trek’s past and will be appearing in the upcoming Star Trek Discovery. 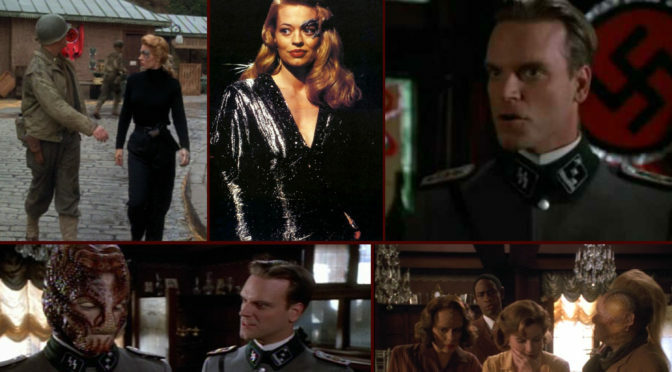 So in preparation we are talking about the Star Trek The Original Series episodes Mudd’s Women and I, Mudd as well as the Star Trek Animated Series episode Mudd’s Passion. Before we get started we talk about the unfortunate news of LeVar Burton being sued over a catch phrase. After the news we quickly give the synopsis for each of the three episodes then get deep into our Mudd discussion. Harry is a really fun character even if his episodes weren’t the greatest. We are excited to see how Rainn Wilson’s take on Mudd will be in Discovery and we are very much hoping his personality will be intact. It’s that time of the week again break out the liquors and make your favorite drinks because it’s time for your weekly shot of Star Trek! Josiah LeRoy joins us to talk about the recent Ghost in the Shell film starring Scarlett Johansson. 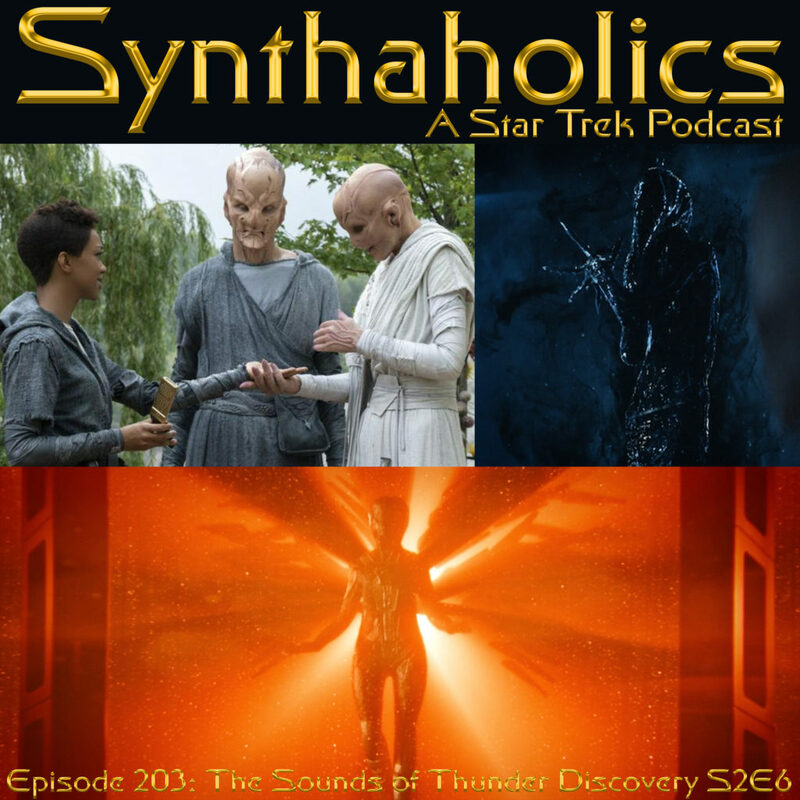 But before we get into that we talk some The Walking Dead spoilers and what that means for our Star Trek Discovery lead Sonequa Martin-Green. 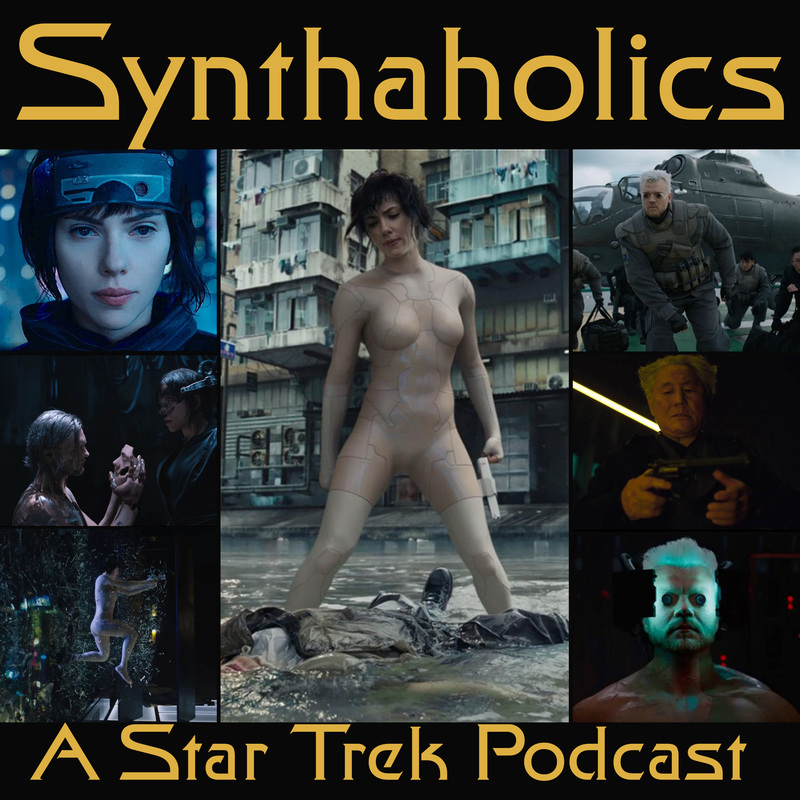 Aaron and David are huge fans of the original 1995 Ghost in the Shell anime and Josiah had gotten to see a portion of it before getting together to do this podcast. We go in depth about the differences and similarities between the original film and this live action adaptation. The discussion also delves into the philosophy of the original movie and how it’s changed for the new film. We all agree this movie delivers a visual feast for the eyes so if you have not seen this movie you should see it for the spectacle alone. This isn’t a perfect movie but we all agree it is worth seeing and worth seeing on the big screen! What do cyborgs like to drink? I don’t’ know but you should drink what you like because it’s time for your monthly shot of Non-Trek Science Fiction! Trevor White of The Geekiverse joins us for Star Trek Noobz 2: Space Seed! We had a great time with Josiah on Trek Noobz one we just needed to follow that up with another one. 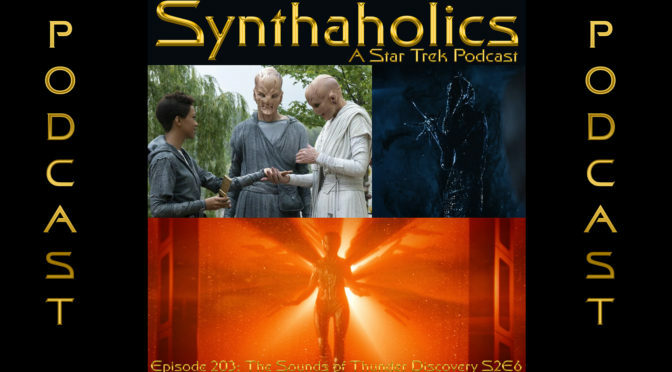 Space Speed is a classic episode of the Original Series that introduces Khan since Trevor is familiar with the JJ film reboots we thought this would be a great place to introduce him to the original series. 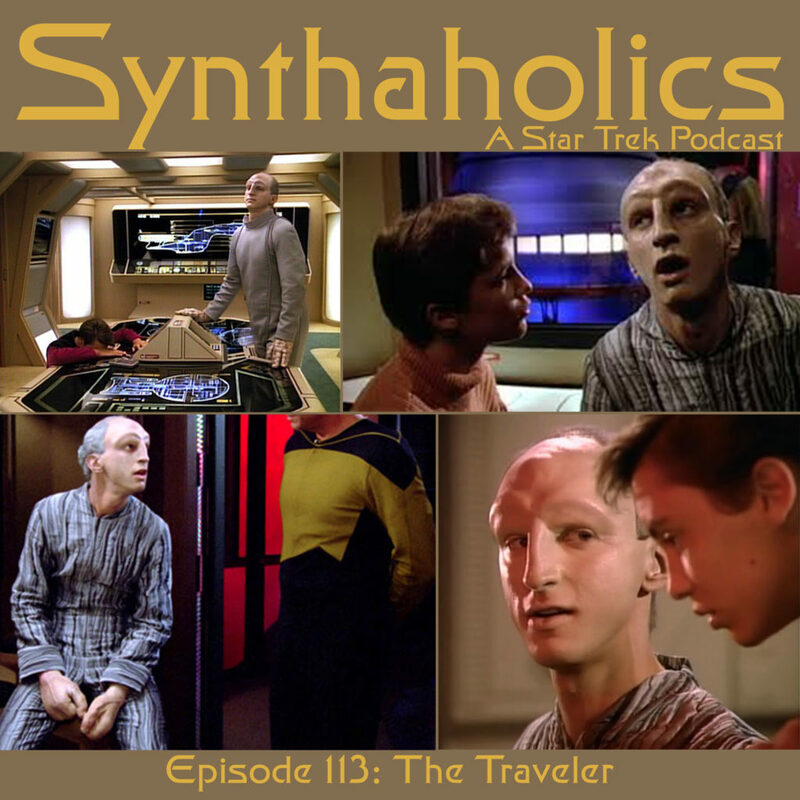 We have a blast revisiting this episode while trying a new drink the James Tea Kirk, it’s green and has lots of different alcohols! The Geekiverse is running Geek Maddness please check out the link for this below. 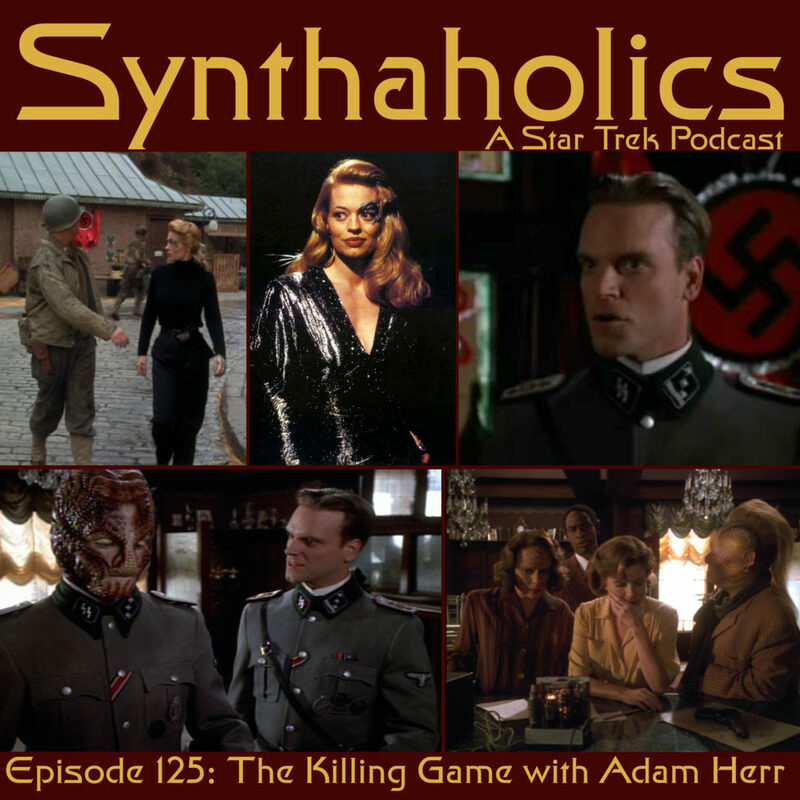 At the beginning of the episode we mention that Aaron was on another podcast this week check it out the link is below! 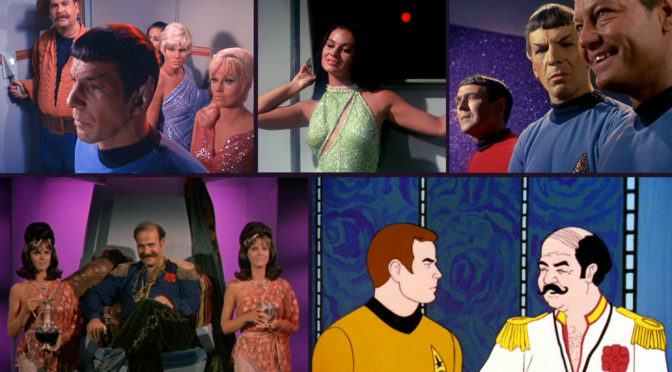 Raid the liquor cabinet it’s time for your weekly shot of Star Trek! 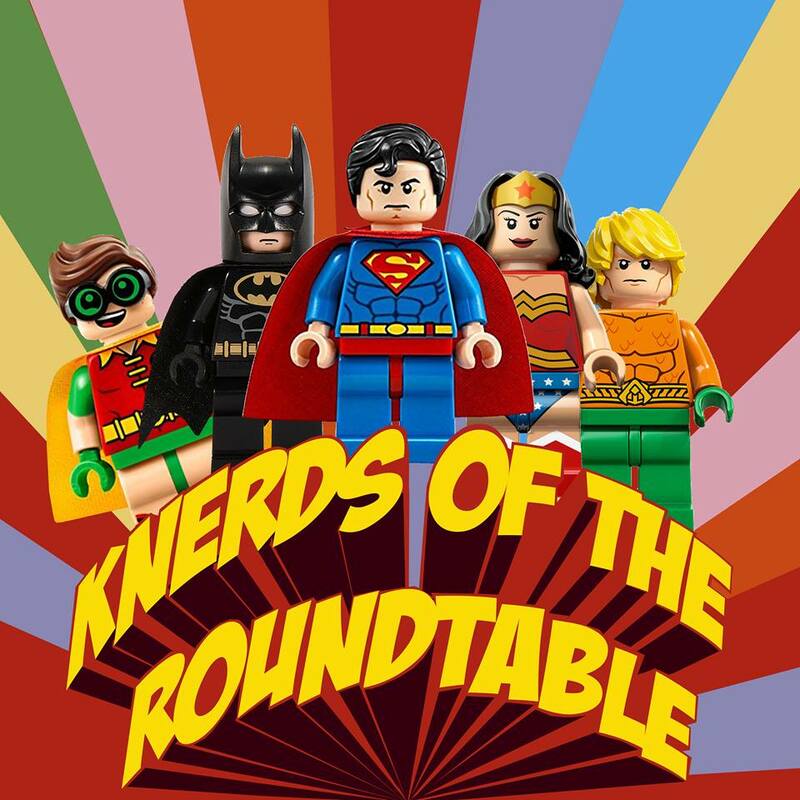 Aaron is the guest on this weeks Nerdynomicon to talk comics! 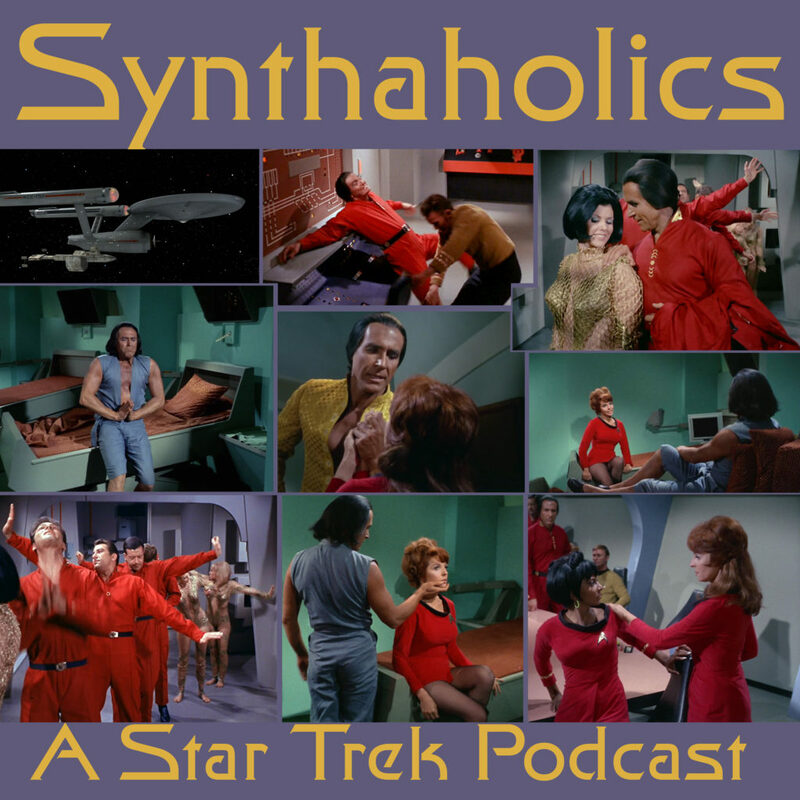 Episode 100: Synthaholics 100 we hear from the listeners! 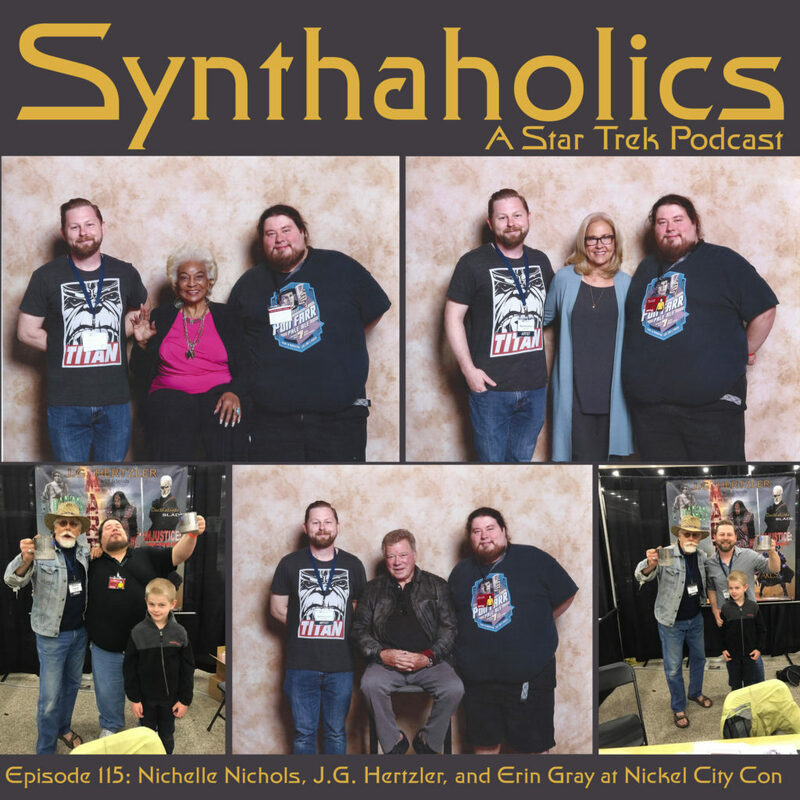 For the past few weeks we have been asking to hear from you the listeners for favorite stories or jokes about Star Trek or about the Synthaholics Podcast. We took those tweets, emails and audio clips, we read and listened so we could react to all the wonderful submissions. 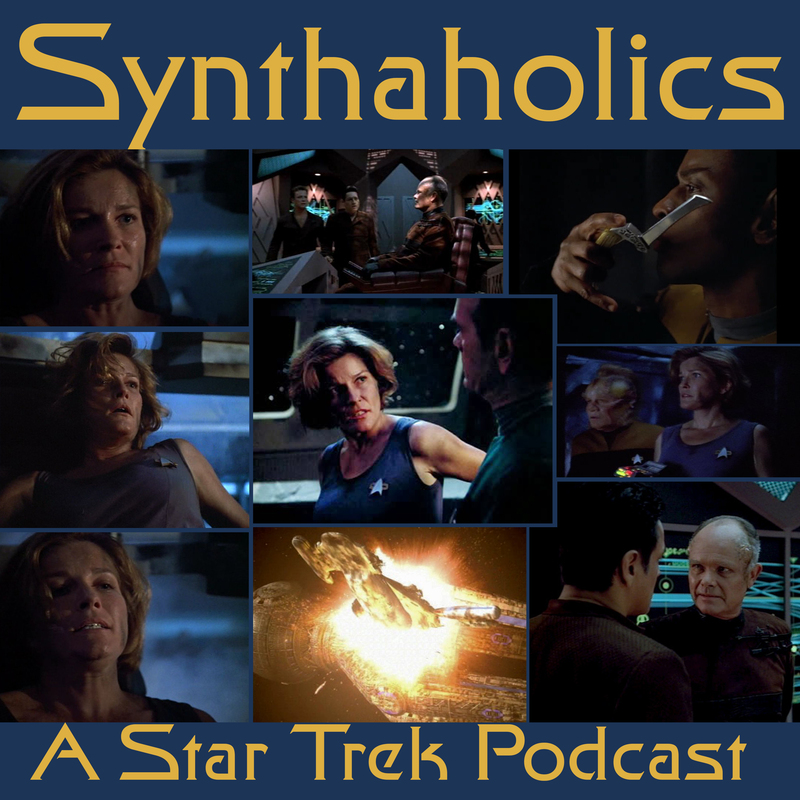 This doesn’t have to be just for this episode you can send us tweets, or audio any time for us to play on the show. We love hearing from you, the listeners because without you this show has not purpose. So thank you for being with us if you started on episode 99 or if you started on episode 1 thank you so much for being here on this journey with us. 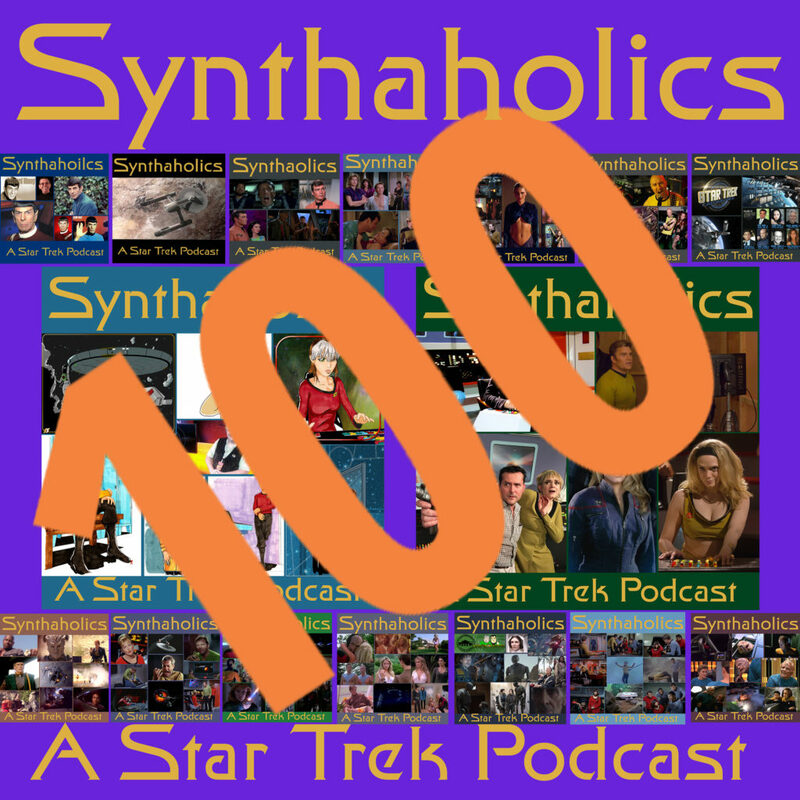 It’s time to break out the Champagne because it’s time for your 100th weekly shot of Star Trek!